Agile Ministry eBooks bring the best of previous articles coupled with new insights into church leadership. Each one focuses on a different aspect of the dynamics of church ministry and volunteer management in an easy-to-read format. It allows subscribed readers and new visitors to read about past topics in greater depth. Each eBook is in Adobe Acrobat (PDF) format, so it is easy to save to your computer for later and to print out. You can even use the eBooks for individual or small group study! If you don’t have Adobe Reader, you can download and install it for free. 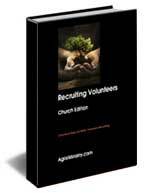 Want to recruit volunteers for your church ministry or service team? 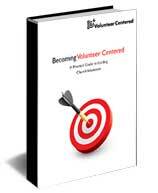 This free book will tell you how using a simple, 5 step process to prepare, find, interview, integrate, and retain your volunteers. Learn more and get your free copy! insights that will give you more time to be the leader that God is calling you to be.